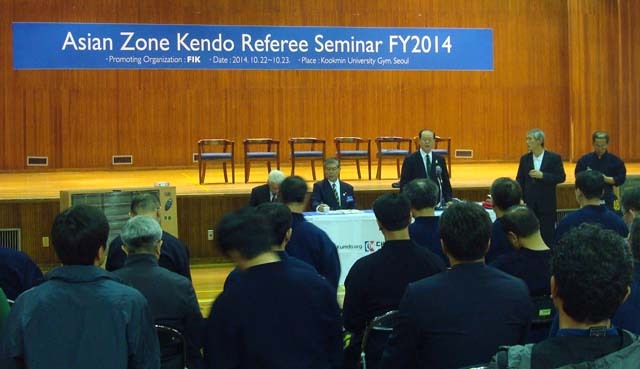 FIK Asian Zone Referee Seminar was held in Seoul on 25th and 26th Oct 2014. 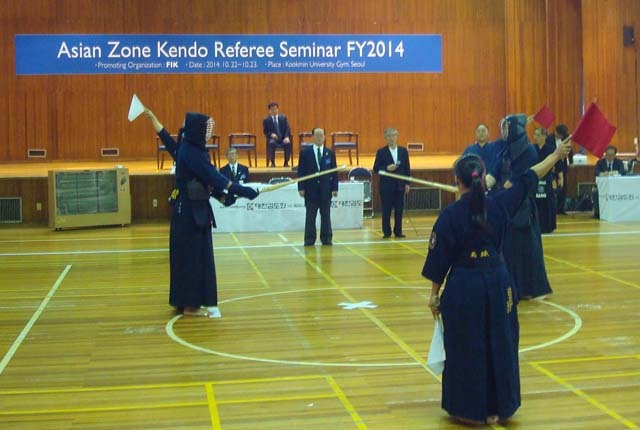 FIK Asia-Zone Kendo Referee Seminar was held on Oct 25 and 26, 2014 at Kookmin University Gymnasium in Seoul in Korea. 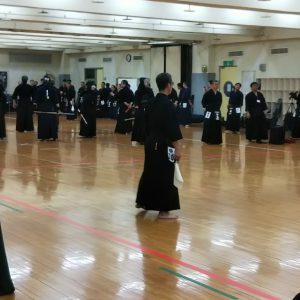 Number of trainee was 51 from 7 countries of Japan, Korea, Hong Kong, China, Chinese Taipei, Australia and Thailand, total attendance were more than 80 including the seminar match players and local Kendo staffs. 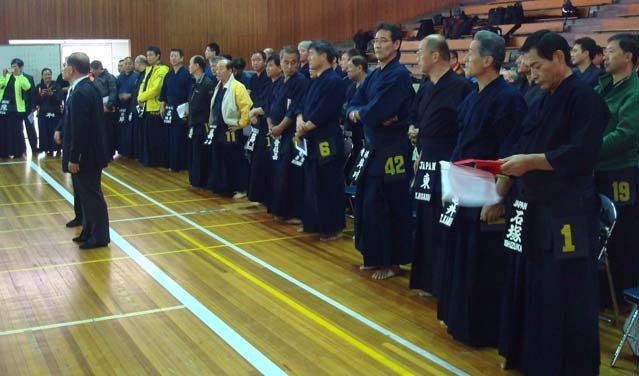 Particularly, excellent players in Korea demonstrated good matches at the seminar. 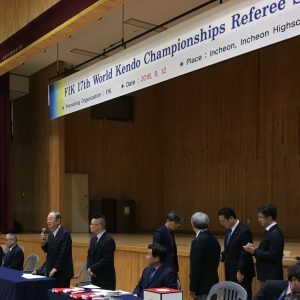 Following to the opening message by Mr. Shin Managing director of KKA, Chief Instructor MATSUNAGA sensei and KAKEHASHI sensei made speech, what is the important point for the Kendo refereeing. 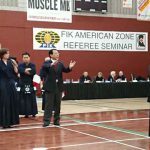 And the refereeing training session was started by NAKATA sensei. The seminar was conducted by 1 court.